The BBC MicroBit runs _MicroPython_. Fine. 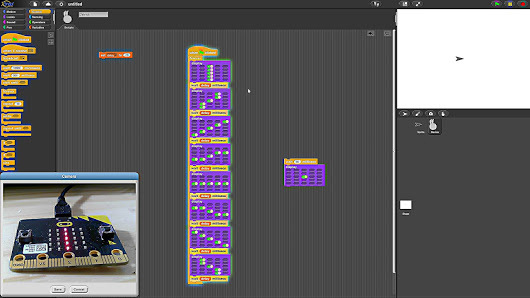 But how about a _’Visual Programming Environment’_ for it? The much advanced ESP32 microcontroller can be programmed exactly the same way, with just minimal code changes. E.g. to control a robot. See examples on Microblocks homepage.